Returned or Lost Package Re-shipping Charge for US domestic shipments. 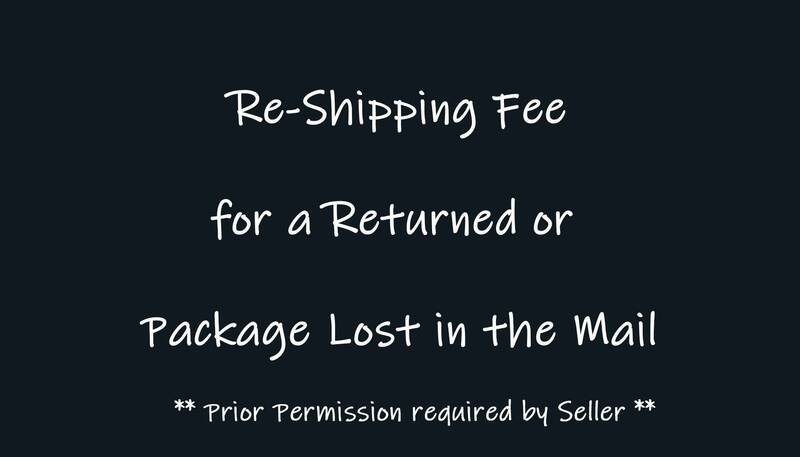 This listing is for a package that was designated "Return to Sender" due to the USPS unable to deliver the original package or for a package that was lost or stolen. You can select First Class Mail or Priority Mail if you choose. Please indicate the item originally purchased (size and color) in the 'notes to seller' field on the order form. Please provide a good mailing address. These shipping charges will not be refunded if non-deliverable.